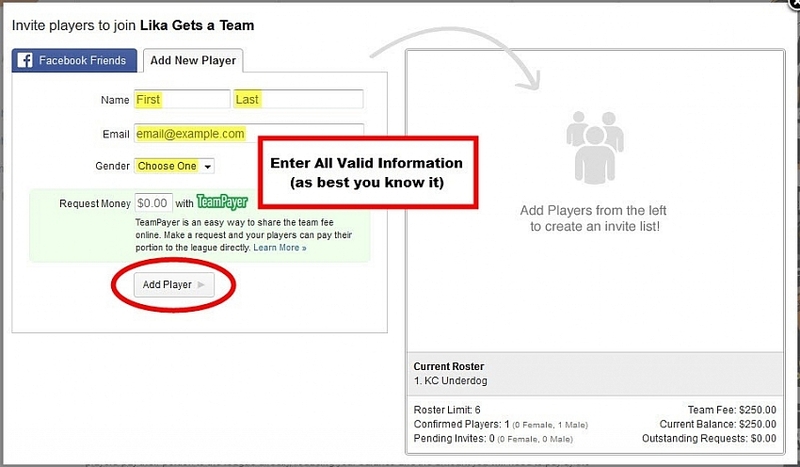 If your team is at or above the Roster Limit, when you try to invite someone that would exceed the limit, the System will notify you, and prompt you to purchase extra Roster Slots. Each additional Accepted player above the limit on your team's roster will result in an additional fee based on the per player cost for that particular league. The last step of Registration will lead you to Invite your Players. Want to add a new player to the team? No problem! First and Last Name, Gender, and Email (and sometimes Uniform Size) are required for adding a new player to your team. 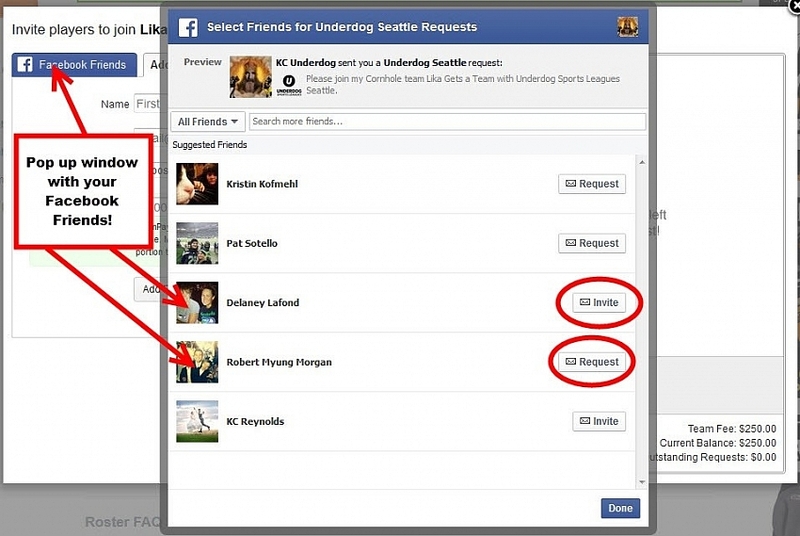 You can invite your Facebook Friends (after you "Connect your Profile") to your team! 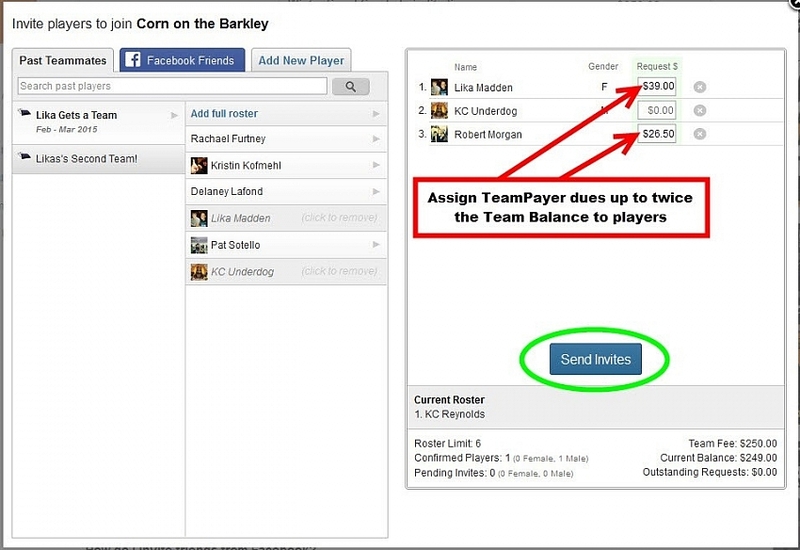 Using TeamPayer, assign dues to your players that will decrease the Team Balance. You can assign up to twice the amount of the Team Balance. 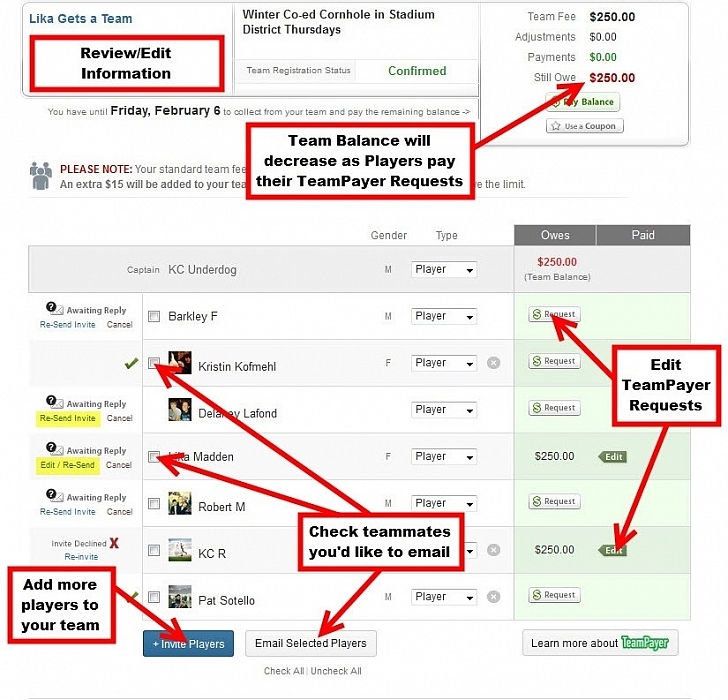 Use the Captain’s Panel to review all of your roster information, edit TeamPayer amounts, invite/cancel players to your roster, and watch as your Team Balance decreases! One day after the Week 2 games, your roster will freeze. 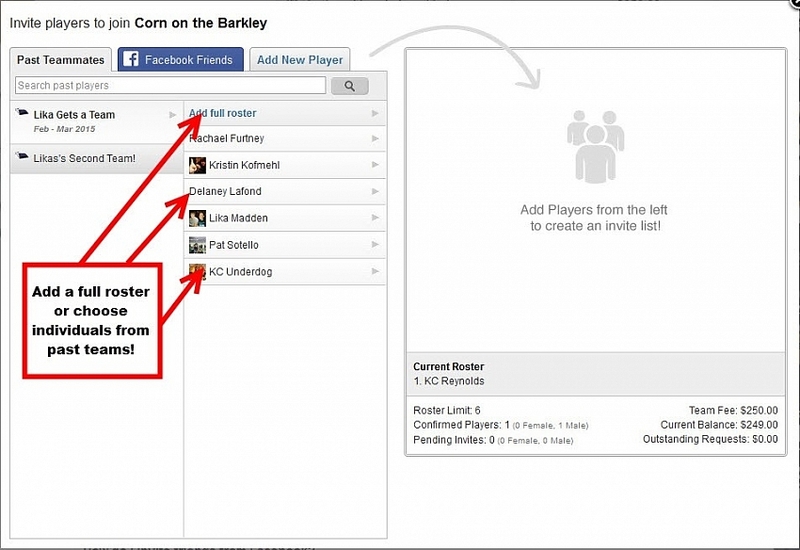 No additional players may be added or removed from your roster. ONLY those teammates who ACCEPT their Captain’s Invite will receive uniforms (for leagues with uniforms).